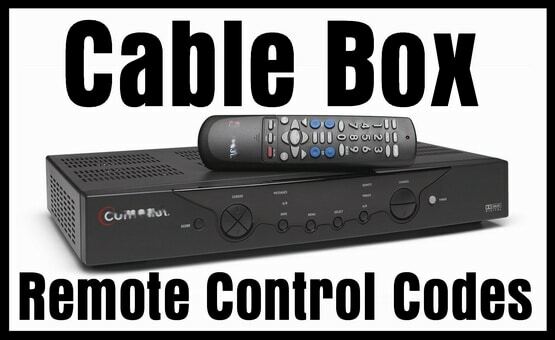 Looking for remote codes for your cable box? Here is the list with the KNOWN working device codes for cable boxes. These should work with ANY remote as these remote codes are universal. Make sure you look at the maker of the cable or SAT box when searching for a remote code. You should use the maker of the box to find the remote code first, if that code does not work then choose your cable company and use those remote codes. I need code for LG sat box from first media indonesia. I need for Bose soundbar remote control. I have a Motorola VIP 1853 which I am trying to control with my universal remote. None of the codes on this page are working. What can I do? I have a terrestrial decoder made from Polaroid with model POSTB-1. Any idea what its code might be? Is there a way to connect my cable box and set it up without needing a Kinect or IR emitter? How do I program a philips srp510/27 universal remote to a rca cable box? To Program the Philips remote to the RCA Cable Box, check the Philips srp510/27 Remote Manual Here, and scroll to page 4. Once you know how to program, use the remote code 2351.